Assetto Corsa Competizione has been available in Early Access since last week and we have prepared a bunch of videos recorded as we were discovering the game. Only one track and one car are available at the moment, but more content will be added in the coming weeks/months. If you want to know more, check out the game's roadmap. • All the videos were recorded as we were playing with a Fanatec CSL Elite for PS4 and the CSL Elite pedals. Even though i'm addicted to FH4 this looks very solid. OF course UE4 needs no presentation. being very familiar with the engine it adds Very good materials and lighting, which we see present. If anyone wanted to see what a UE4 based Car game would be like, this would be among those titles. 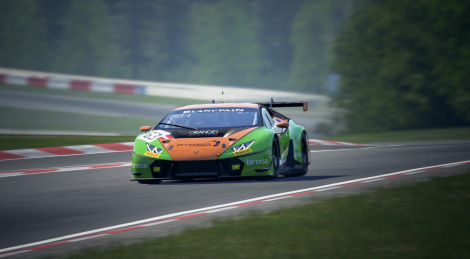 Assetto Corsa Competizione will also be using Ray Traced reflections. which will be adding intense realism accuracy to car reflections. As of the beginning of this Year, UE4 has added in-game Ray-tracing technology native to the engine. which adds to the plethora of the engine's capabilities. still needs to be seem how impactfull it is to the performance, as it seems such a negligable thing to me, hardly notice without a double take, now the other quality stuff (details ans such) are way more important. Finally a sim racer with top notch graphics . If you want a much more authentic viewing experience for Assetto, search for Mixed Reality (or VR) videos on YouTube. I do not use track map at all and as less HUD as possible but it is supposed to be on left most corner. The placement of it is soo annoying. So this is all PC footage?